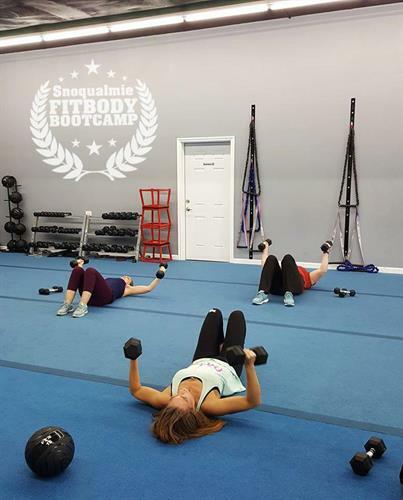 Located between the Love Bug Boutique and the Snoqualmie Market. Across the street from the train depot. 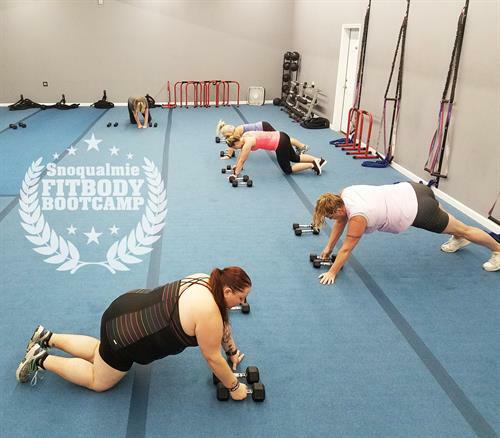 We are a local fitness and weight-loss center dedicated to helping Snoqualmie area residents gain confidence, energy and self esteem while getting them in the best shape of their lives and having a blast doing it! 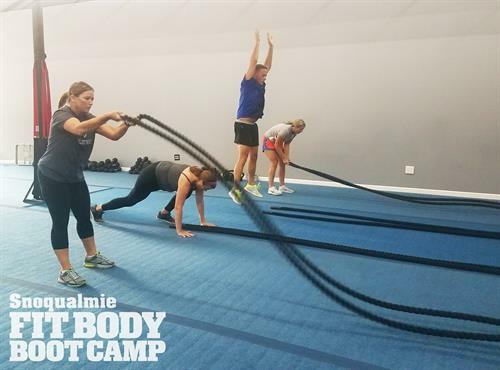 30 min of intense, fat-burning workouts with an after burn session. 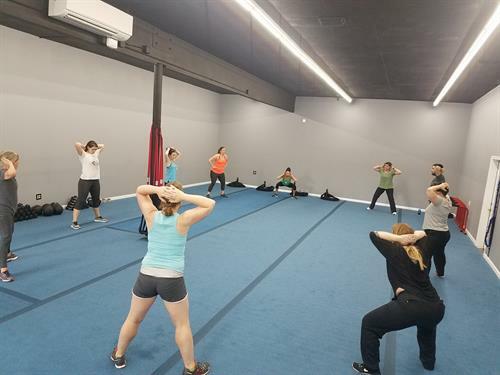 Classes are coached mimicking a personal training session but in a group format. 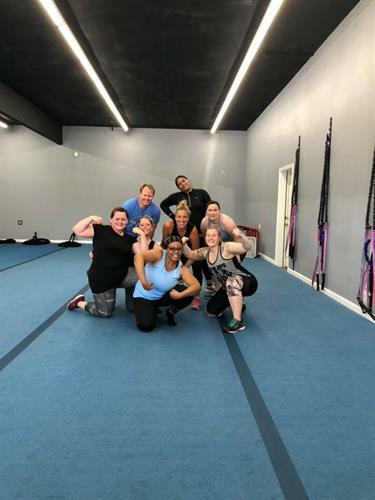 Whether you are fit looking to tone, overweight looking to lose weight, older and looking to enhance your stamina and mobility, or even looking to build core strength after past injuries; we all work out together in the same session. 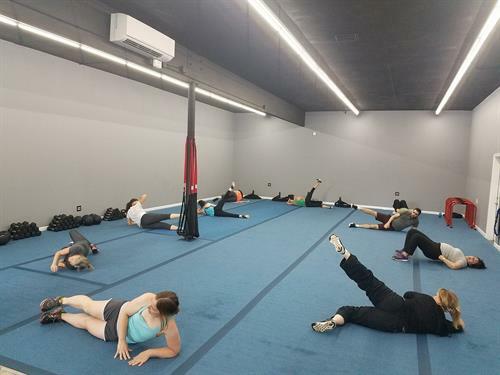 All members have UNLIMITED workout sessions so you can come in for a group workout whenever you want! 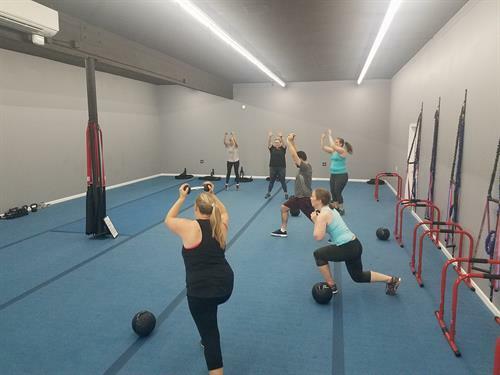 Anyone can walk in for 3 FREE sessions! It's easy! 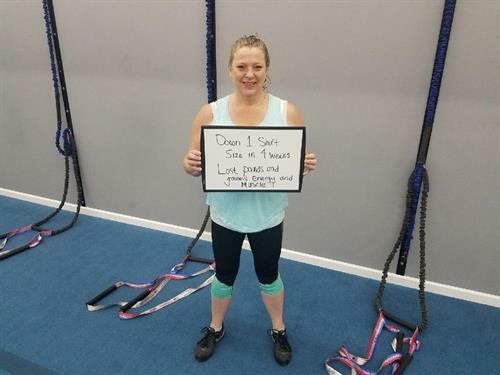 Click here to sign up for 3 free workouts! 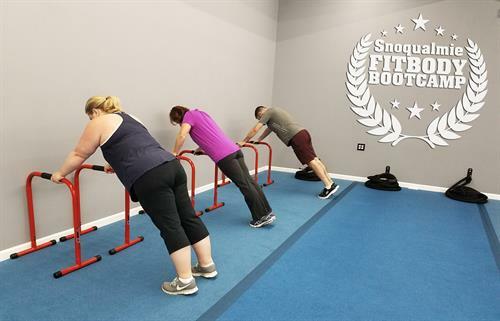 Click here to visit our SnoFBBC community online! Are you a local business owner looking to cross promote with us? Click here to email the owner!